All skips are fabricated with thick steel side walls and heavy duty steel front and basse plates. Additionally, the reinforced box section design is structured around the edges of the skip offering high levels of protection from excavator bucket collision. All Terex site dumpers are designed to work on all types of terrain, high ground clearance across the range and permanent 4WD means they get where other vehicles can’t. 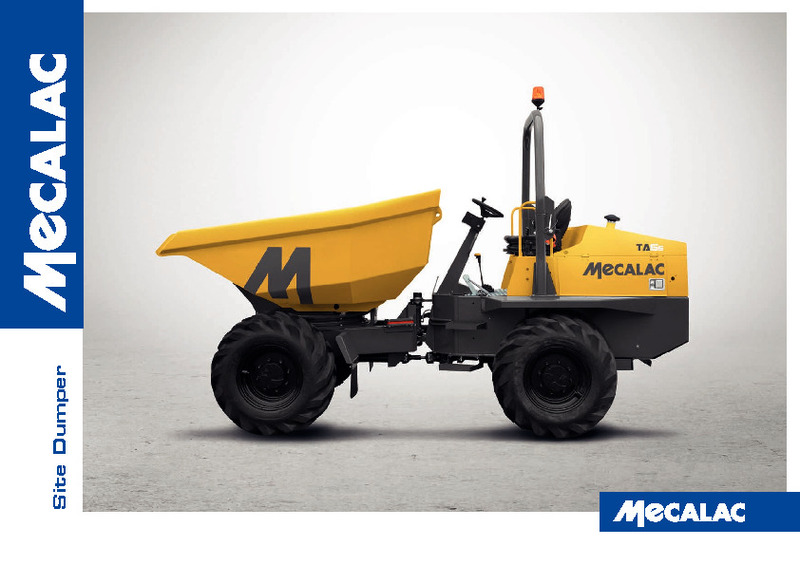 Do you need spare parts or accessories for Mecalac TA3/ TA3S/ TA3H/ TA3SH 3 Tonne Dumpers?